Inspiration, creativity, action are three qualities that marked Rino Malzoni’s biography turning his name into a legend. There are many stories about him and the cars he created and manufactured. Most of them are about the performance of his cars and their experienced drivers in numerous racetracks. As it always happens with mythical characters, many times the accuracy of those stories are dubious. 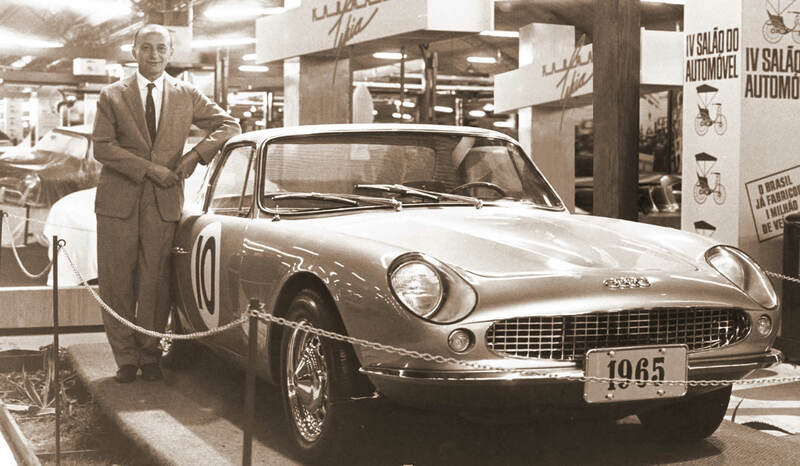 Nowadays the internet allows inaccuracies to spread fast, allowing them to become misguided truths This website is intended to tell, concisely and precisely, the story of Rino Malzoni and the cars he created, a synonym of automobile excellence. Genaro Malzoni created and manufactured his first cars in a shed at Chimbó, his farm in Matão, in the state of São Paulo. It was the beginning of the 1960´s, and the Brazilian automotive industry was gradually developing. Brazil was going through many changes, being one of them the inauguration of the country´s new capital city, Brasília, located in the heart of the state of Goiás, “in the middle of nowhere”, which was built in less than five years. Rino Malzoni (seated) and your team during the development of the Puma Volkswagen. The first Brazilian sports cars were neither efficient nor exciting. The first brands to invest in the Brazilian market, which was very modest then, were European. The cars were the Renaults Dauphine and Gordini, the Volkswagen Coupe (here known as “Fusca”), the Aero Willys, the “large” Simca Chambord, and the medium-size DKW. Fanatical about cars, Malzoni enjoyed customizing the models he bought. As the market lacked sport models, he decided to make one by himself. With the help of mechanics and artisans recruited from the region, he chose, as basis for his creation, the DKW chassis and powertrain. With lines inspired on the fastest Italian sport cars, the Malzoni GT was created and produced. 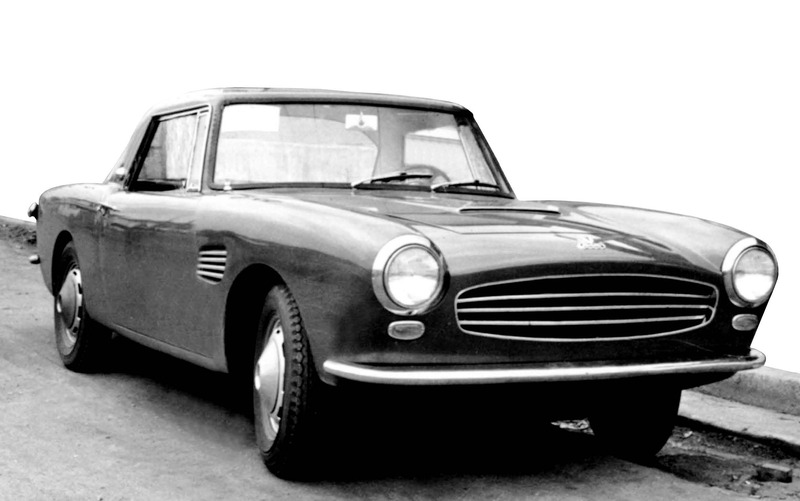 The prototype DKW Malzoni GT 2+2 Type1, in 1963. The small car, a four-seat coupé with metal sheet body, was not only beautiful but also had a good performance and caught everyone´s attention everywhere it was shown. It was lent to Quatro Rodas Magazine, tested and greatly accepted by the public. So many people manifested interest in buying it that Rino decided to create a second version of it. This second Malzoni GT, made in steel sheet, had more sports look. The reduced chassis made the car even more agile and its aerodynamics partially compensated the lack of power of the one-liter two-stroke DKW engine. 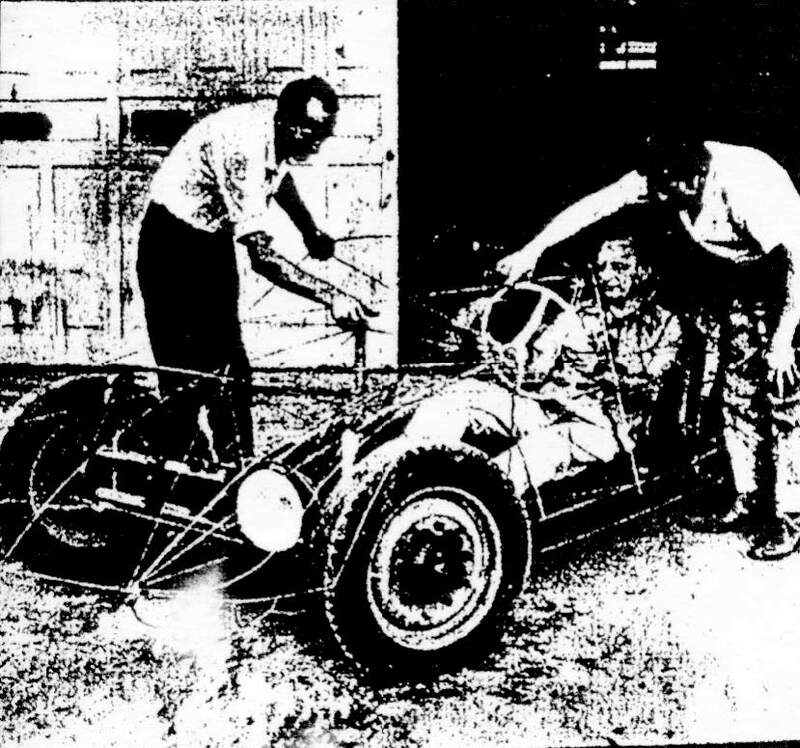 The project was encouraged by Mário César de Camargo Filho, best known as Marinho, who perceived the car’s racing potential and did not take much longer to try it in race tracks, in 1964. The good initial results led to the development of the first units with fiberglass bodies, up to 150 kg lighter than the steel model, at the time, a cutting-edge technology. The first three units were bought, in 1965, by the Vemag Racing Team, which was owned by Veículos e Máquinas Agrícolas S/A (the company that manufactured DKWs in Brazil) and soon they were a great success in all competitions. All in all, this set the beginning of a rich and fascinating history that you will get to know along the next pages. 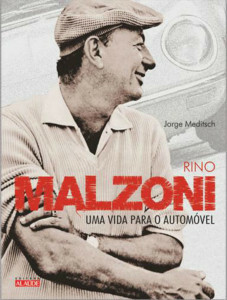 The biography of Rino Malzoni is told in great details in the book “Rino Malzoni – Uma Vida para o Automóvel”, written by journalist Jorge Meditsch. With 158 pages, it includes the exclusive testimonies of Malzoni’s friends and also that of the famous drivers that raced the cars he created. The book (in Portuguese version only) can be purchased in bookstores throughout Brazil or through Editora Alaúde’s website (www.alaude.com.br).